My oldest child is a reluctant reader. She does enjoy books, but not the reading. 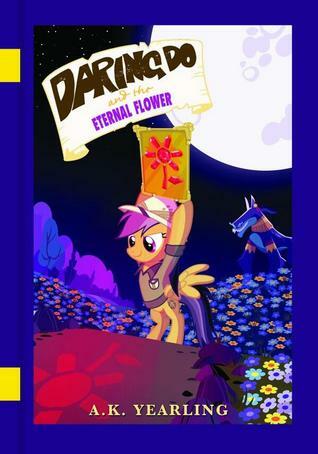 Last year I read to her one of the other books in this series and also one of the Equestria Girls books. Last year these books were beyond her capability. Now after reading together most days over the last year she can rip through this book if she so desires. But typically we read together and we alternate pages and read a few chapters a night. No as a man in my mid 40's these books would not be on my 'to be read list', if I was not reading them with my daughter. 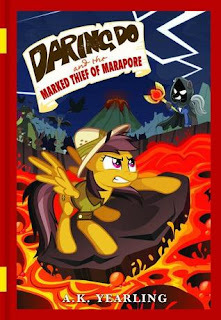 But even with saying that we both enjoy the stories and have now read three of the Daring Do books. This book reads like Indiana Jones, as a female pony. 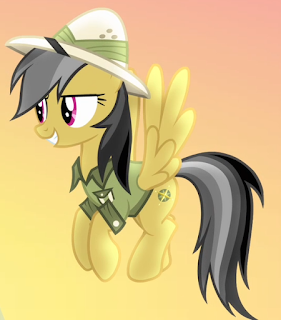 Daring do is a Pegasus pony, which means she is not only a pony but can fly. And those wings have got her out of more than one scrape. A.K. Yearling is a pen name for the main character, and appears in a number of the TV episodes either by reference or in person (pony). 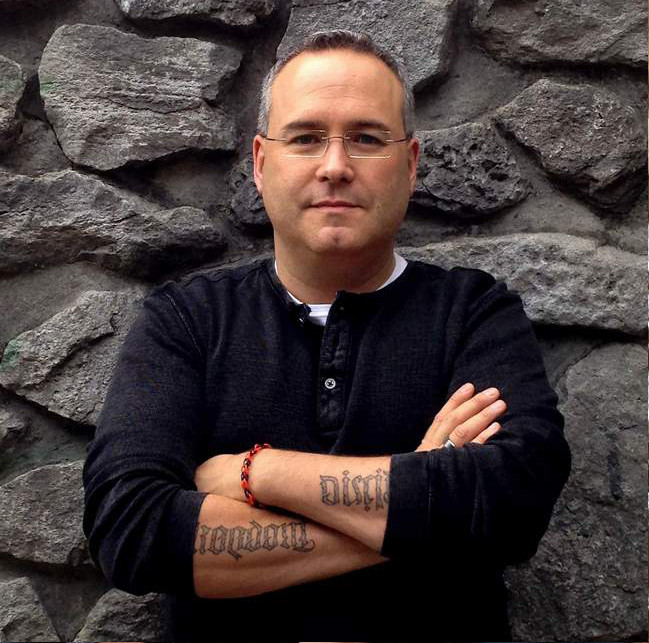 These stories are well enough written to keep my attention, which to be honest surprised me. My daughter loved them, so if I am reading them to her or we are reading them together it is a win. 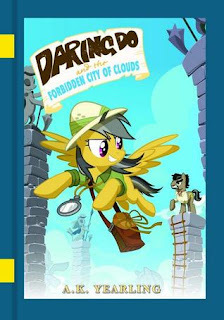 In this book, Daring tries to find a treasure that is not only hidden, but supposedly hidden in a mythical city of clouds. Talk about a mystery wrapped up in an adventure. Can Daring find the city of Cirrostrata? Can she trust the retired adventurer that A.B. Ravenhood director her towards? Or will this just turn out to be clouds and mirrors? I find it hard to believe buy I enjoyed this book. And my daughter loved it. I will likely read it again in a few years with my youngest, and do so without regret. We have thoroughly enjoyed this book and the three Daring Do books we have read to date. I hope more become available soon.